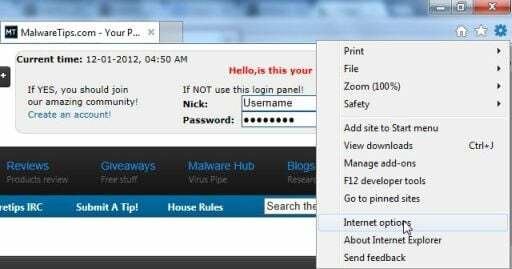 Goong.info is a browser hijacker, which is promoted via other free downloads, and once installed it will change your browser homepage and default search engine to goong.info. Goong.info homepage will display advertisements and sponsored links in your search results, and may collect search terms from your search queries. The Goong.info hijack is used to boost advertising revenue, as in the use of blackhat SEO, to inflate a site’s page ranking in search results. Goong.info it’s technically not a virus, but it does exhibit plenty of malicious traits, such as rootkit capabilities to hook deep into the operating system, browser hijacking, and in general just interfering with the user experience. The industry generally refers to it as a “PUP,” or potentially unwanted program. Goong.info homepage got on your computer after you have installed a freeware software (video recording/streaming, download-managers or PDF creators) that had bundled into their installation this browser hijacker. For example, when you install MyFFVideoConverter, you will also agree to change your default browser homepage and default search engine to goong.info. 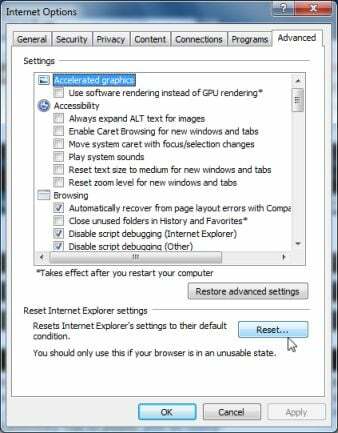 However when you uninstall MyFFVideoConverter from your computer, your web browser’s default settings will not be restored. This means that you’ll have to remove goong.info homepage from your favorite web browser manually. 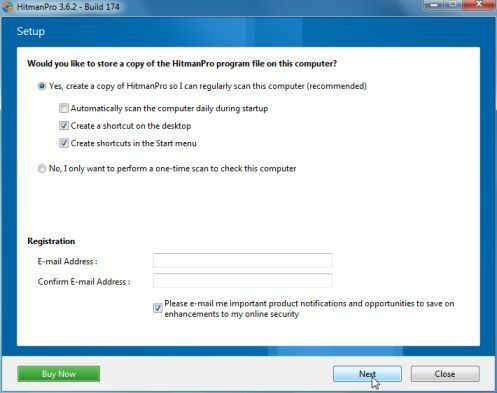 You should always pay attention when installing software because often, a software installer includes optional installs, such as this Goong.info hijacker. Be very careful what you agree to install. 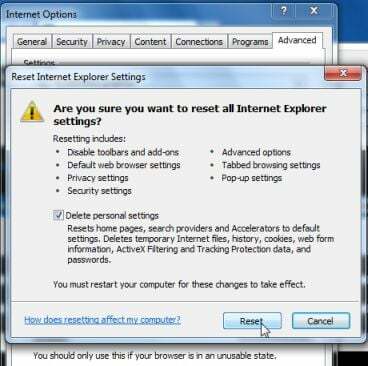 This page is a comprehensive guide, which will remove Goong.info from your Internet Explorer, Firefox and Google Chrome. goong.info has installed a browser extension, and has changed your homepage and default search engine to goong.info. Remove Goong.info extensions from Google Chrome. NOTE: goong.info may have added additional extensions which you will need to remove. 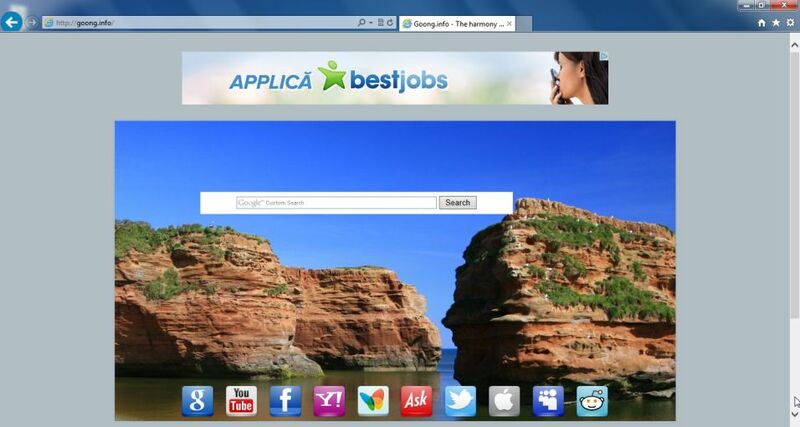 We recommend that you remove any unwanted or unknown extensions from Google Chrome. Set Google Chrome default search engine from Goong.info to Google. Search for Goong.info in the Search Engines list, and click the X button that appears at the end of the row. 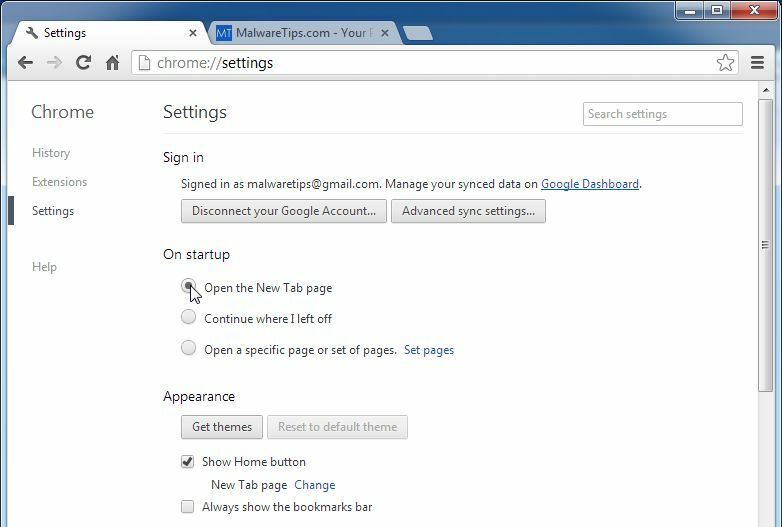 Change Google Chrome homepage from goong.info to its default. goong.info has modified your Google settings to open their webpage whenever you start your browser, so we will need to revert this change. 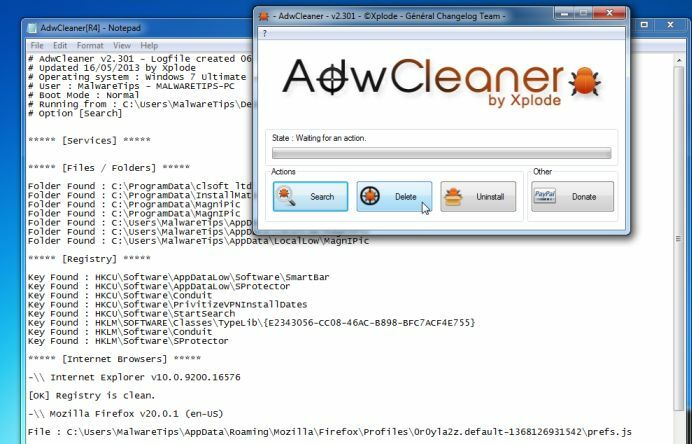 The AdwCleaner utility will scan your computer for Goong.info malicious files, that may have been installed on your computer without your knowledge. The program will now start to search for Goong.info adware that may be installed on your computer. 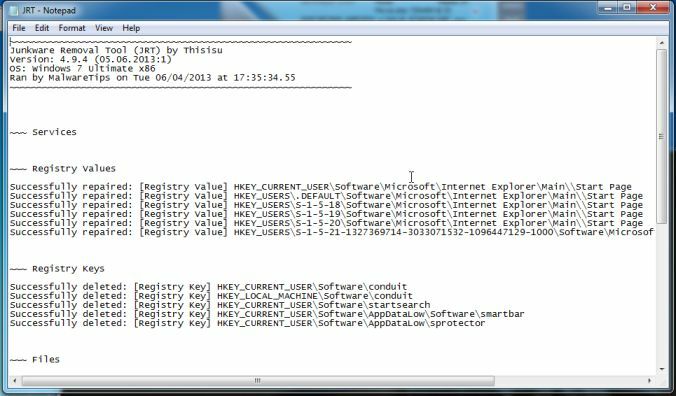 When it has finished it will display a notepad screen that contains a log file of all the Search.Goong.info extensions, files, and registry keys that have been detected. Unless you see a program name that you know should not be removed, please close the Notepad window and continue with the next step. To remove the Search.Goong.info malicious files that were detected in the previous step, please click on the Delete button on the AdwCleaner screen. 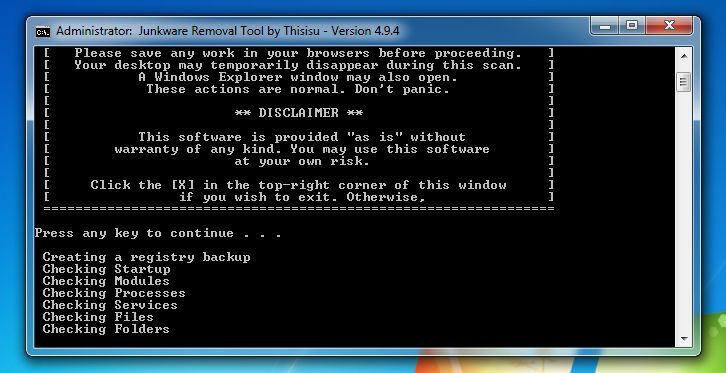 Junkware Removal Tool is a powerful utility, which will remove Search.Goong.info from Internet Explorer, Firefox or Google Chrome, and will double-check for any other compromised Windows shortcuts. Junkware Removal Tool will now start, and at the Command Prompt, you’ll need to press any key to perform a scan for the Goong.info virus. Your computer should now be free of the goong.info infection. 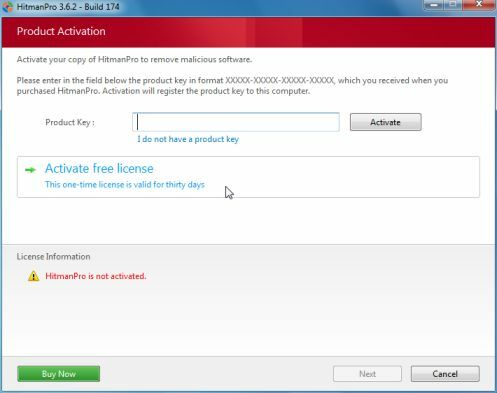 If your current anti-virus solution let this infection through, you may want to consider purchasing the PRO version of Malwarebytes Anti-Malware to protect against these types of threats in the future. 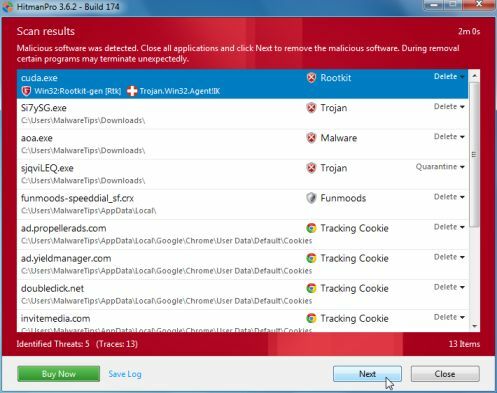 If you are still experiencing problems while trying to remove goong.info hijacker from your machine, please start a new thread in our Malware Removal Assistance forum.